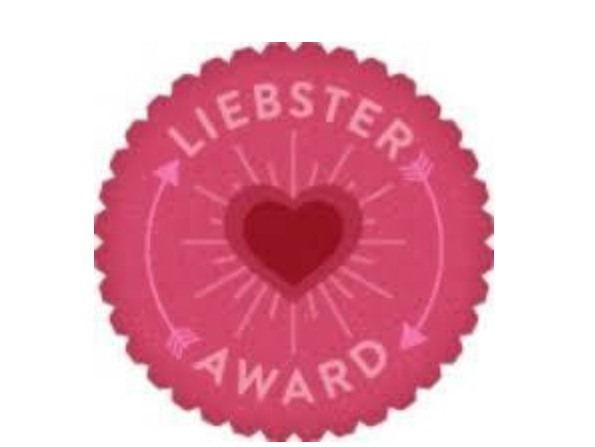 I was nominated for the Liebster award by the lovely Diane http://mommyx4boys.wordpress.com I am very honored to be nominated. Thank you so much Diane for nominating me. It has taken me a while to get this post together because I answered the questions that were for Diane at first. So, I corrected it and now I am ready to post it. 1. If you had one wish what would it be? Freedom to have the time and finances to enjoy more moments in life with family. 2. If you could change one law, what would it be and why? I would change the legalization of alcohol because of the consequences it has on individuals and their families. 3. What is your favorite movie? I have a few but one is Drop Dead Fred. My sister and I used to watch that movie so much. 4. What is your dream job? While growing up, I wanted to be a lawyer but now it would helping others improve their lives (I have been blessed to do this for the past 6 ½ yrs). 6. Do you love zombies, if not why? No. I am scare of them. I am scare of any dark creatures. 8. Do you now or have you ever had a nickname? Yes, my cousins call me J. One of my friends gave me the name ‘honeydip’ in high school. 9. What would you want your last meal to be? Turnip greens & oxtails. I love the way my mother cook them and I don’t eat that dish often. 11. Do you think I’m awesome? Of course I do! 1. I am a newbie in the blog world. 2. I am the oldest child of 3 girls. 3. I have four children (2 girls and 2 boys). 5. I love romantic movies when the love connection is not obviously. 6. I am scare of horror movies. If I attempt to watch one, I can not be alone and I have my hands over my eyes throughout the movie. 7. I do not act normal when I am hungry. I mean it seems like I can’t function at all. 8. I love reading and researching. 10. I swear I was a ninja while growing up. I watched a lot of Kung foo movies in my childhood. 1. Name three things that you are grateful for? 3. What is your favorite place to eat and dish to eat there? 4. What is the best state you have lived in? 5. Do you have a hobby, if so what is it? 7. Do you have any siblings, if so how many? 9. If you had to choose between getting on a boat or a plane to travel, which would you prefer and why? 10. What is an accomplishment that you have done that you are proud of? 11. If you were given the funds to donate to an organization, which organization would it be and why? Have a good day in the blog world! Congratulations – you deserve it! Keep up your great work!! Thanks so much for the words of encouragement!!! Congratulations! I’m right there with you on the scary movies – I’ve listened to more than I’ve watched! Haha. Great acceptance post, I love the movie drop dead fred, I also watched it a lot with my sister growing up and now I watch it a lot with my kids. I love your answers to the questions. You are so right about alcohol, even though most of us don’t like to admit it. I agree on all things scary too. I am convinced that that stuff is bad for the soul. Oh and pecan pie—I have yet to make it really good, but when the right person makes it—oh my goodness! Best food ever! Thanks so much for the kind words. I have yet to make a pecan pie period. I may try to make it one day..who knows lol. Yes, I agree, the best food ever! Great answers! I’m glad I’m not the only one who looses the ability to function when I’m hungry lol.